Moisturizers and Sunscreen: What’s Right for You? Even though the summer is winding down, you need to be using a moisturizer cream with a sun protection factor of at least 15. Why? Because skin damage increases over time and continued exposure without protection from harmful ultra violet rays exposes you to a variety of skin problems. 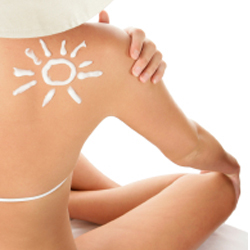 Most importantly, without protection, your skin will have increased chances of developing skin cancer. In addition you will experience premature aging of the skin, increased wrinkling and development of leathery skin texture. Even a cloudy day carries the danger of harmful UV rays attacking your skin. The glare from water or snow can actually increase the exposure to UV. So choose a quality skin moisturizer with an SPF of at least 15 and keep your skin young and healthy.